Setting a new standard for manufacturing and testing of coiled tubing, Tenaris is the first to earn the industry's API certification for coiled tubing. 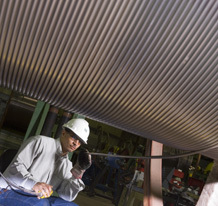 Tenaris is also the first coiled tubing manufacturer to offer integrated coating capabilities. Tenaris has a history of industry milestones, including one of the longest coiled tubing workstrings, stretching 36,430 ft, of 2" HS-80 and one of the worldâ€™s heaviest coiled tubing workstrings, weighing 122,000 lbs, of 2 7/8" HS-80. We have managed the supply of bending solutions for many of the deepest projects in the world. These include, for instance, projects such as Chinook & Cascade, Thunder Horse, Independence and Tahiti in the Gulf of Mexico, and the Pazflor, Kizomba A, C & D, Greater Plutonio, Dalia and Bonga projects in West Africa . Obtaining the most suitable chemical composition is also important as this enables the recovery of the pipeâ€™s material properties following the hot induction bending process. Depending on pipe dimensions, grades and final bending conditions, alloying elements can be added to the steel in order to guarantee the required hardness and mechanical properties and to ensure that the bendâ€™s chemistry matches as much as possible the line pipeâ€™s chemistry. The company reached an agreement with Prime Investment & Corporate Services Ltd to acquire a 40% stake in Pipe Coaters Nigeria (PCN), the most important Nigerian coating manufacturer, which is located in the Onne Free Zone. This partnership combines Tenarisâ€™s industrial know-how and technical capabilities with PCNâ€™s proven expertise and coating presence in the region. Coiled line pipe allows several miles of flowline to be installed with minimum pipe-to-pipe girth welds, eliminating costly welding, heat-treating, x-ray, and inspection steps. 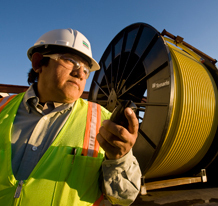 Tenaris offers coiled line pipe as an alternative to conventional 12-meter length line pipe because it reduces installation time and costs, enhances external coating integrity and improves flow characteristics for oil and gas operations. Coiled line pipe is available in outside diameters of up to 5â€ and a range of wall thicknesses with pressure ratings of up to 10,000 psi. Coiled line pipe allows several miles of flowline to be installed with minimum pipe-to-pipe girth welds, eliminating costly welding, heat-treating, x-ray, and inspection steps. Equipment needs and installation times are dramatically reduced allowing wells to come online faster and at lower costs. Tenaris coiled line pipe is at the forefront of sub-sea technology and provides customers with tremendous operational advantages. Reduced right-of-way costs and environmental impact. Our manufacturing and quality assurance processes are certified to produce coiled line pipe to multiple specifications, including DNV-OS-F101. We were the first and only mill certified to API 5CLP. Tenaris coiled line pipe has been installed at water depths of over 2,200 meters and in challenging Arctic regions such as the Barents Sea. Produced in accordance with API 5LCP standards, coiled line pipe offers an economical alternative to conventional sub-sea flowlines and control lines, as well as onshore surface or buried flowlines for gathering system tie-ins and gas injection. Export lines, sometimes called pipelines, transport processed or non-processed oil or gas fluids to the shore. Tenaris with its strong industrial system has the capability to supply a complete range of flowlines and export lines in steel grades up to X70 sour service resistant and 100 ksi yield strength non-sour service. We offer both seamless and welded pipe for flowline and export line applications. Our export lines and flowlines are developed with the most advanced, extreme heavy-wall tubular products available in the industry. These products either meet or exceed the industryâ€™s most demanding fracture toughness and mechanical properties requirements in terms of toughness, corrosion resistance, dimensional tolerances and weldability (in our own welding laboratory). 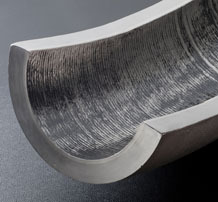 We supply export lines and flowlines that can withstand stringent deep-sea environments (high pressure and temperature and/or corrosion resistance), as well as demanding installation methods, such as J-Lay and reeling, with our world class support network of R&D Centers committed to developing new products and to constantly seeking improvements in products, steels, production processes and services. The specific environment, reservoir and fluid conditions as well as the use of longer tie-backs combined with high pressure and a wide range of working temperatures, mean that the need to guarantee flow assurance has become one of the most critical issues. Tenaris offers a comprehensive range of products and services that meet oil and gas companiesâ€™ offshore deep and ultra-deep water needs. We have a strong industrial system, state-of-the-art R&D facilities and years of industry experience in metallurgy and the development of customized steel pipes, especially for risers. 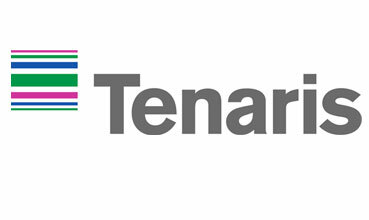 All Tenaris packages can be customized to meet the specific needs of our customersâ€™ projects. Contact our product specialists for more information. All our line pipe products are manufactured to meet international standards such as DNV OS F101, ISO 3183, API 5L, EN 10208 and ASTM, as well as customersâ€™ specific requirements in standard and proprietary C-Mn and 13Cr weldable steel grades. Umbilicals make up part of Tenarisâ€™s SURF (Sub-sea Umbilicals, Risers and Flowlines) package of tubular products for offshore oil country tubular goods and line pipe applications. In addition to our extensive line pipe distributorsâ€™ network, we offer a full range of direct project management services for all stages of well operations, including Inventory Handling, Field Services, Consultancy, Technical and Post-Installation Services. Tenaris provides a variety of seamless and welded pipes for the mining industry. Different types of internal coatings are used in order to increase resistance to the abrasion caused by the movement of mineral slurry through the line. The pipes for this sector have nominal diameters ranging from 150 to 1200 mm and thicknesses from 4.4 to 31.8 mm, and may be supplied with or without coating, depending on the needs of our customers. Other standards are also available upon request. Paragominas project (CVRD): 244 km pipeline of 24â€ steel pipes (grade X70) with triple layer polyethylene external coating for the first bauxite slurry pipeline in the world. Germano-Ubu (Samarco MineraÃ§Ã£o): 346 km pipeline of 14â€ and 16â€ steel pipes (grade X70) with triple layer polyethylene external coating. for a slurry pipeline. ExpansÃ£o III (Alunorte): 2,150 tons of 10â€ to 24â€ pipes for the largest alumina refinery in the world. 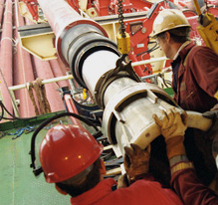 Tenaris provides line pipe for onshore applications, developed for severe working environments. Our products meet the oil industryâ€™s needs for onshore transportation and are ideal for use in extreme conditions such as corrosive environments, low and high temperatures, high pressure and sour service. Give us a call today to get all the information, +91-9819591024, If you're looking to buy or sell Tenaris Pipes Tubes Tubing, we can help., call to our Distributor in India or mail us to info@neelconsteel.com for instant free quote of Tenaris Pipes Tubes Tubing. 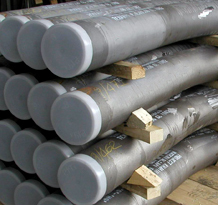 Neelcon Steel Wholesale Various High Quality Tenaris Pipes Tubes Tubing in all shapes and sizes and with any specifications that the clients, More then 1500 Worldwide.